You Oro application enables you to add comments on details of an activity. For instance, you may want to comment on a task or a logged call that was made, or possibly comment that you can’t attend a particular meeting. By default, the list of activities available for each entity is determined by what is most commonly used by businesses. However, if your company’s work process requires it, you can always turn the desirable activity on for almost any entity (except technical ones). If you need particular activities to be enabled for an entity, contact your administrator, or see steps 4 and 5 of the Create an Entity action description. See a short demo on how to add comments, or keep reading the guidance below. Enter the comment into the text-box. Click Choose File to upload a file to your comment. Click Add to save the comment. 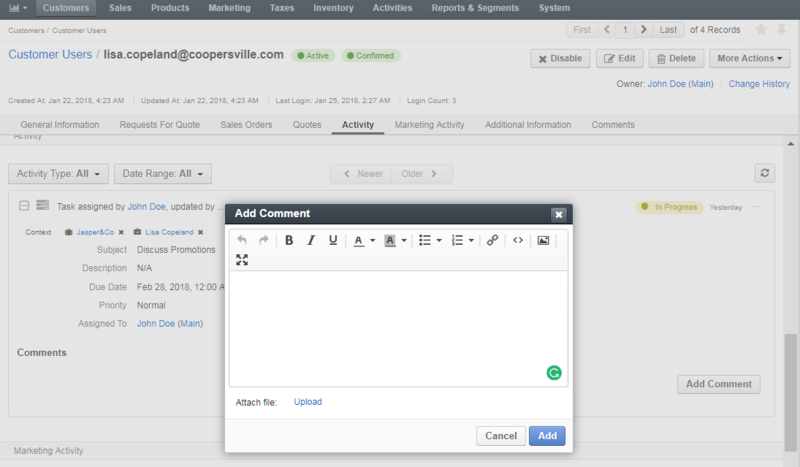 You can edit the Comment entity and add new fields if required. Comments for cases have an additional Make Public check box when your Oro application is integrated with Zendesk. 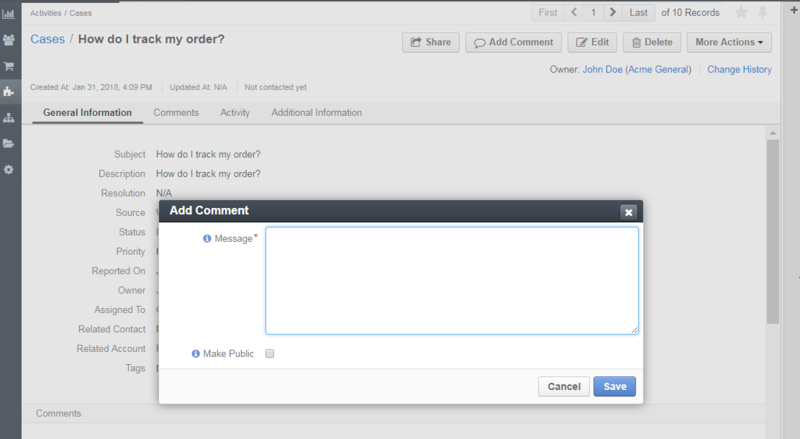 This enables you to make a specific comment public in Zendesk.